Parker County Sheriff Larry Fowler wants to send a warning to adults who intend to purchase or furnish alcohol to minors. A man and woman were booked into the Parker County jail Thursday morning in connection with furnishing alcohol to minors at a prom party April 29, 2012, in Millsap. “There is no excuse for contributing alcohol to minors at this time of the year or any time,” Fowler said. Parker County Sheriff’s Office has been notified that an inmate escapee shot and killed himself this morning around 10 a.m.
North Carolina Haywood County Sheriff Bobby Suttles confirmed that Haywood County deputies were in pursuit of a stolen vehicle confirmed stolen out of Jack County. The driver of the stolen truck was identified Donald McFaden Orange, 29. Parker County Sheriff’s deputies and investigators are seeking an inmate who was performing outdoor work at precinct one this afternoon shortly after 2 p.m., and left the job detail near Veal Station Road. Parker County Sheriff Larry Fowler said the inmate is identified as Donald McFaden Orange II, 29, originally from Connecticut, but has no known local address. Parker County Sheriff’s deputies and Fugitive Apprehension Unit members arrested two people this weekend, in connection with a cruelty to animals and child endangerment case, where 58 dogs were seized and Child Protective Services was called Wednesday afternoon, May 9, 2012. Another suspect was arrested in Westworth Village over the weekend on non-related charges plus a Parker County warrant. While the third suspect was in jail in Tarrant County, a four suspect came to visit him and was subsequently arrested on a Parker County charge. A fifth and final suspect turned himself in to the Parker County Jail Monday morning, May 14, 2012. Parker County Sheriff’s Investigators are seeking a Parker County man who was reported missing by a family member over the weekend. 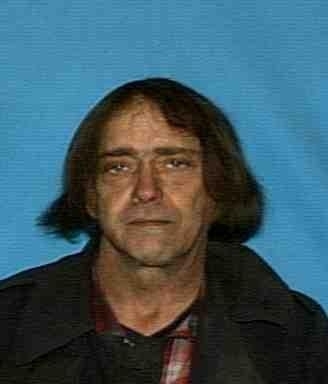 Warren L. Tankersley Jr, 58, of Weatherford, was reported missing Saturday, May 5, 2012. Tankersley’s brother reported to deputies that he has been missing since around March 15. Tankersley’s brother also reported it is not unusual for him to be gone for several days at a time, it is however, unusual for him to be gone this long and therefore, called the Sheriff’s Office. Parker County Sheriff’s Investigators arrested a woman Thursday afternoon in connection with a child endangerment case received last week. Jennifer Marie Chron, 27, was taken into custody after an investigation revealed she left her small children unattended at her residence in the 1700 block of Old Mineral Wells Highway in Weatherford. Sheriff’s reports indicate deputies responded to the home on a child welfare check around 9 p.m., Friday, April 27, 2012. Parker County Sheriff’s Criminal Investigations Division is investigating a theft occurring Thursday morning in the 2100 block of FM 920 in Weatherford. Parker County Sheriff Larry Fowler said Stagner Industries owner who reported unknown suspects entered the premises around 10 p.m. the previous evening and stole approximately $15,000 worth of oil field parts. Parker County Sheriff’s deputies arrested three men Wednesday in two unrelated cases. Deputies went to serve a theft (motion to revoke) warrant in the 100 block of East Yucca View, Wednesday afternoon. When the subject of the warrant observed deputies at the home, he fled on foot north of the residence through a briar patch. The suspect, identified as Brandon Lloyd Frazier, 19, of Weatherford, was apprehended, a short distance later after he lost his shoe in a muddy creek bed. He was apprehended in a pasture near the residence. Parker County Sheriff’s deputies seized in excess of one ton of marijuana Thursday, March 29, 2012, from a tractor trailer at a truck stop off Interstate 20. Parker County Sheriff Larry Fowler said while at the truck stop, a sheriff’s deputy observed an incomplete weld from a load located on a truck in the parking lot. The deputy utilized a Sheriff’s K-9 drug detection dog, to inspect the load. The dog gave the deputy a positive alert for drugs. A high-speed chase Tuesday afternoon ended with two arrests by Weatherford-Parker County Special Crimes Unit investigators. SCU Lt. Mike Camp said employees of an Aledo pharmacy notified Sheriff’s deputies of a male suspect attempting to obtain fraudulent prescriptions by having them filled at the business over the last year.